My first book will be out in the new year. 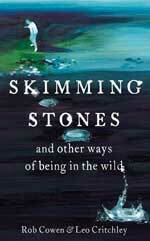 Skimming Stones and Other Ways of Being Wild is a book of simple skills that can help us to interact with nature, achieve a deeper connection with it and even step inside another dimension. Rob Cowen and Leo Critchley teach us, for example, making and flying a kite, making an elder whistle, damming a stream and building a den - and at the same time teach us about life. Visit the website for the book. Preorder it on Amazon . 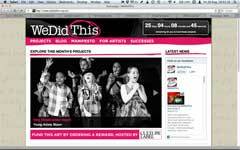 WeDidThis.org.uk takes a completely new approach to arts funding, turning regular people into ‘micro-philanthropists’, and enabling us all to support the art we love and get exclusive access in return. TheBackscratchers.com (launching soon) is a platform for artists, creative people and entrepreneurs to help one another on a quid-pro-quo basis. Please visit my work site to view the rest of my portfolio. Copyright © 2011 Leo Critchley, all rights reserved.